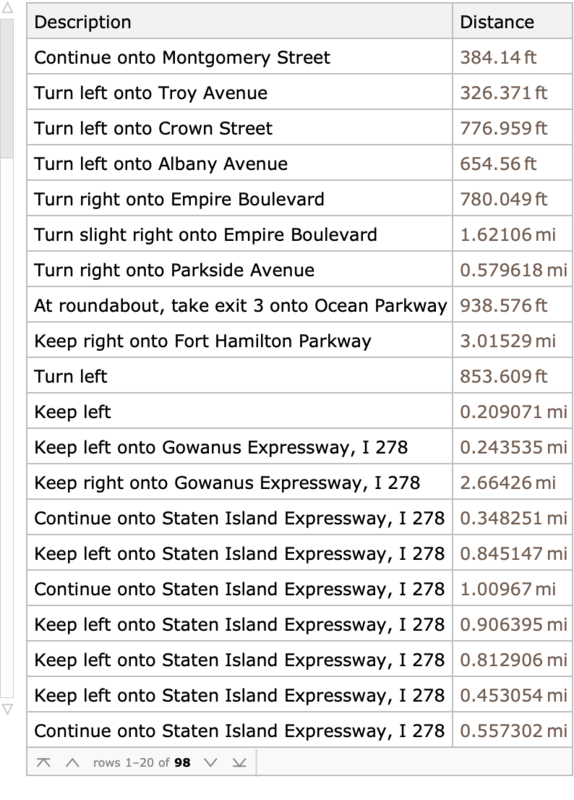 generates directions for travel from loc1 to loc2, …. gives the property prop of travel directions. The locations loci can be geographic entities, GeoPosition objects, or strings specifying addresses. TravelDirections returns a TravelDirectionsData object, which behaves as a path specification inside GeoGraphics. TravelDirections attempts to find the fastest path between the loci, not taking traffic into account.